11th San Diego Asian Film Festival Call For Entries Early Deadline Approaching! The San Diego Asian Film Foundation (SDAFF) is approaching its’ early deadline for the 2010 call for entries. SDAFF will celebrate its 11th annual film festival season, Oct 21-28, 2010, to an estimated audience of more than 18,000 during 8 days of film, panels, and exciting special events. The San Diego Asian Film Festival is competitive, seeking entries in the following categories: narrative feature, narrative short, documentary feature, documentary short, and animation. An independent jury selects winners in each category, along with the Grand Jury award, which are announced at the Festival's Gala Awards Night on Saturday, October 23, 2010. Festival programmers also select a first-time filmmaker to receive the George C. Lin Emerging Filmmaker Award, which is accompanied by a $1,000 prize. Films/videos submitted must be directed or principally acted by an artist of Asian or Pacific Islander descent; or whose subject matter relates to Asian or Pacific Islander culture. All rules, entry forms, application, and festival info can be found online at www.sdaff.org. 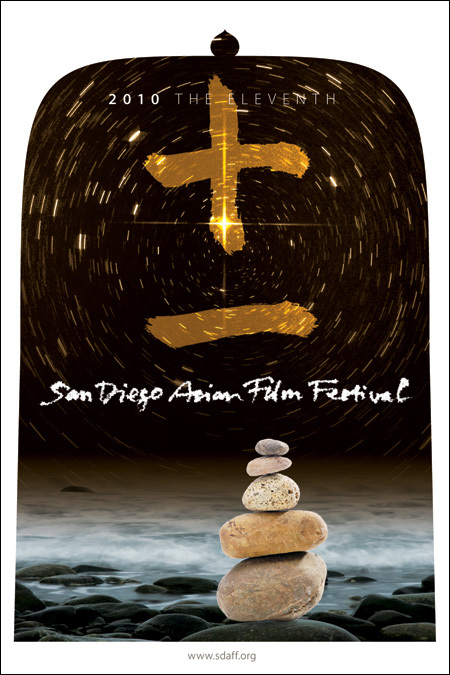 The San Diego Asian Film Festival is an event of the San Diego Asian Film Foundation, a nonprofit organization dedicated to connecting audiences with the Human Experience through the Pan-Asian media arts. We Look Forward to Receiving Your Entries! Please feel free to contact us at Info@sdaff.org or 858.565.1264 with any questions. Make sure you submit your film by April 30, or you'll be plunking down a higher submission fee. They're accepting works of all kinds -- animation, documentary, shorts, features. The festival's got something for everyone. For more information, including submission rules and guidelines, visit the SDAFF website here.